All prices are listed in American dollars and include all taxes for tourists non-residents in Peru. All train and bus fares are subject to changes and availability, which must be confirmed. by e-mail sent from one of our operators. The system must only process reserves received at least 7 days before the date of beginning of the tourist services. 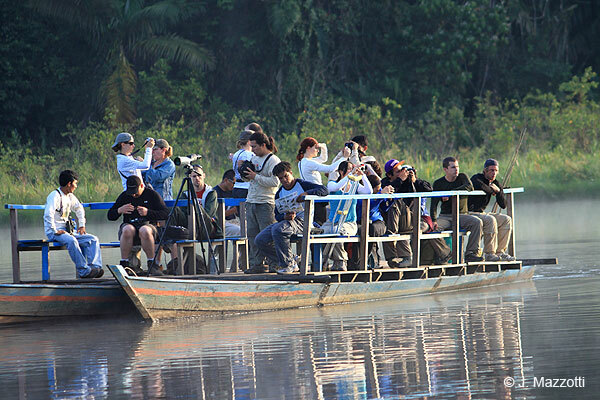 Otherwise Viaja Peru reserves the right of deny the reserve. To confirm your reserves, we must have received the payment for services or the guarantee deposit. All payments or deposits must be made through our online system. Your credit card must be charged after the availability of all the services required have been confirmed. The confirmation of your reserve must be sent by e-mail with the reservation code of each tourist program required. The confirmation will only proceed after we receive your on-line reserve or a guarantee deposit. The guarantee deposit is a payment in advance of US $ 100.00 per person, which is not refundable if the reserve is cancelled. The total payment of the packages / tours must be made 60 days prior of the beginning date of the travel program. The passenger will be contacted by tour operator in the place indicated in the tour program or itinerary, after identify with passport or Identity document and mention the reserve confirmation code, will be enough to begin bringing the tourist services. Is responsibility of the passengers to bring their arrival and departure information at proper anticipation. 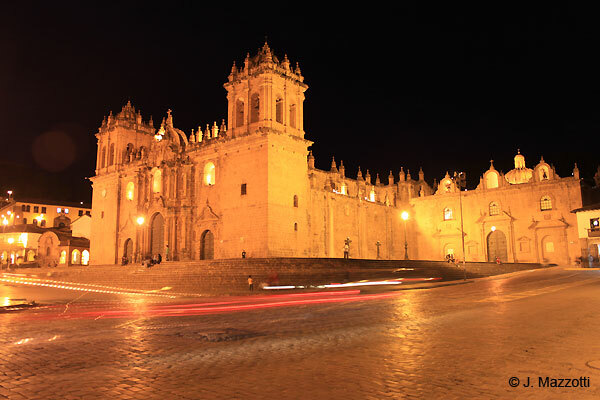 In case the passenger requires pick up from a different point than the one set in the program - itinerary, must have to coordinate in advance with Viaja Peru. Parts of the package / tour not used by passenger due its own decision will be not refunded if package / tour is going on. Every cancellation made by passenger before 60 days prior the beginning date of the tour, must be subject to a penalty of US $ 100 of the non-refundable deposit plus US $ 25 of administrative expenses. Every cancellation made by passenger within 59 and 31 days prior the beginning date of tour, must be subject to a penalty of 50% of the program price plus US $ 25 of administrative expenses. Every cancellation made by passenger, between 29 or less prior the beginning date of the tour must be subject to a penalty of 100% of the program price. 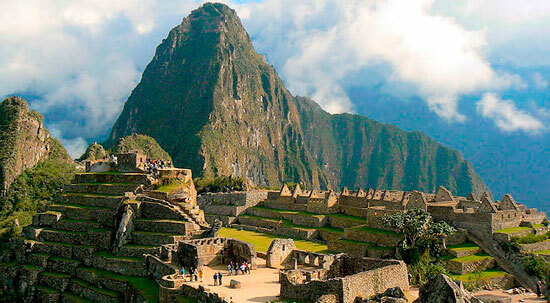 Note: Reservations for Inca Trail programs are not refundable. Not changeable in any case. All requirement of hotel accommodation which are confirmed by e-mail, are guaranteed. The confirmation of the reserve must be sent by e-mail with the hotel reservation code if necessary for the hotel. Breakfast and transfer from the airport are included only if it is specified and published by the hotel, Otherwise the price includes only the accommodation. Passengers only have to show their passports with Andean migration card at the hotel and give the confirmation code. This is enough to take the room. Without these documents will be subject to pay the IGV tax. For every cancellation made by the passenger, more than 16 days prior the arrival must be subject to a penalty of US $ 25.00 for administrative expenses. In the case that passenger doesn't cancel at proper anticipation and doesn't arrive at the hotel (no show) at the reserved date, must loose the payment of all the nights reserved. Every confirmed reserve is guaranteed. The flight tickets are e-tickets and passenger don't require any paper or physical document. It is necessary only to show the passport of identification document at the counter and give the confirmation code, then you can pick up your boarding pass or ticket. Passengers have to be at the station or airport at indicated time and pick up their boarding passes to board. The confirmation of the requested reserve, must be sent by an e-mail, with the confirmation code of each transportation company. Fares of airlines are subject to confirmation on the day of reservation, and can be modified getting higher or cheaper, it depends on the availability of the fare. Once ticket is issued, it may not be reassigned to a different passenger or airline. Passengers may contact the transporter one day before the departure, in order to reconfirm the departure hour. It can change. International flight tickets: Subject to Airline current regulations at the moment of booking in the flight search and reserve engine. Domestic flight tickets: Are not refundable after confirmation. For every cancellation or change made by passenger, more than 48 hours prior the beginning of the journey has only the possibility to change the date of travel, not the route. The payment is not refundable. If the cancellation is within the 24 hours prior the beginning of journey, there is no possibility to change the travel date, and ticket is not refundable. For every cancellation or change made by passengers, more than 7 days before the date of travel, has only the possibility of change the date of travel, not the route This change has to be made directly by passenger, showing their e-tickets at the PeruRail Train offices in Cusco. The payment is not refundable. If cancellation is within the 24 hours prior the travel, there is no possibility to change the date and ticket is not refundable. Tickets cannot be endorsed to other passengers. IATA airlines or transport companies, have no responsibility for any damage of passengers when they are not on board of the airplane, train or bus. When tour or package includes a promotional air or land fare, and passenger change the date of travel, must be subject to a penalty. 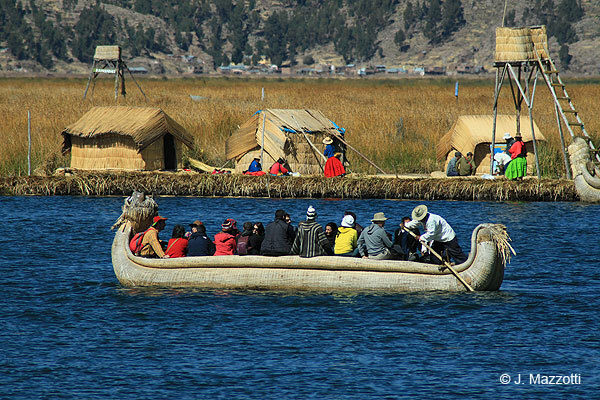 The passengers must carry with themselves a passport or travel document depending on their nationality, it is legal rule in Peru. Baggage transportation is limited to 44 lb. (20 Kg) per passenger for all domestic flights and local land carriers if there is no other indication. The owners have the responsibility of their baggage, unless the baggage has an own insurance. Small objects as video or photo cameras, binoculars, bags, umbrellas, etc are responsibility of their owners, and is recommendable to get an insurance. Is recommendable to carry all the baggage well closed and with personal identification. As it is shown in each program, the rates are fixed by person, and by the number of night specified. The tour operator reserved the right to replace hotels of the same category or higher. It is limited the number of single and matrimonial rooms. In all flights and land transportation, meals and snacks are given to passengers according to transport company. (B: Breakfast, L: Lunch, D: Dinner). All other meals are responsibility of the passenger. If for any reason out of our control, the Tourist Services Operator Company stop bringing any service: hotels, meals and or transportation as indicated in the travel program, a reimbursement will be provided within 30 days of the client submitting a claim or write out authorization from any of our local or foreign agents. Refunds for cancellations requested by passengers, will be processed within 30 working days after received the passenger claim. The refund will be subject to the penalties in each case. No claims will be considered if made later than 60 days after termination of the tour. Obligation of services non-given due negligence from Viaja Peru or our personnel, will be limited to the real cost of the omitted services and excludes all consequences or indirect costs. In that eventual case, Viaja Peru will make its best effort to bring arrangements of similar value, subject to availability. Viaja Peru is an intermediary between Tourist Services Operator Company and passengers in the process of reservations and payment of services. In case the company stops operating due internal labor problems, greater force or other reasons, or the service provider declare in economic insolvency under the with the formalities that the corresponding Peruvian legislation demands, the refund of the non-brought services under the mentioned procedures and in the terms established by the Peruvian authorities, for each specific case. Viaja Peru when publish this tourist services, travel programs, tours, air tickets, etc., is responsible to demand to the company of services contracted, to provide the services and lodgings offered to the passengers, as they are declared in the itinerary of the published program and in our web site. The passenger accepts that Viaja Peru has not obligation and is not responsible for the services offered not provided in case natural disasters, severe weather conditions or any other acts of nature or any cases that cannot be anticipated. Also the passenger recognize that Viaja Peru will be no responsibility for the services offered not provided in case of strikes, accidents, political manifestations or any public act outside the control of Viaja Peru. In this case, the value of the contracted service will not be reimbursable. If for any reason the transportation chosen by the passenger (bus, flight, train, etc.) don't arrive to destiny at the date and hour programmed for take tour or program reserved , Viaja Peru and the Tour Operator deny all responsibility for not bringing the tour or package services; these services will not be reprogrammed. Tour Operator will bring the services only from the portion considered after the arrival of passengers. The portion of the program lost for this reason is not refundable. Viaja Peru, it's intermediaries and employees are not responsible for loss, damage or injury related to services or accommodations provided by the railroads, bus companies, tour companies, tour employees, boat companies, airlines and or hotels. All of the above are subject to local laws of the country where the services are provided. The tour operator reserves the right to alter the program of any package / tour. Viaja Peru will send all e-tickets and confirmations of services through the e-mail given by passenger in the reservation form. Services brought by this system are intangible, so if for any reason passengers don´t take the services at the scheduled date and hour, must assume total cost of them.